Come investigate and experience the ways that movement, sound, image, and performance can inform human culture. With multiple workshops each day, teaching artists from the International Interdisciplinary Artists Consortium (IIAC) and participants from around the world create an embodied dialogue at the intersection of modalities - voice, improvisation, site-specific performance, physical theater, and more. Open to all levels and backgrounds. Check out this awesome video of last year's IIAC Residency and Moving Arts Lab! Prices shown include meals and dormitory-style lodging. Camping is $5 off per night | Commuting is $15 off per night. Special Discount ($175) for past E|MERGE participants and IIAC participants! We're offering limited FREE rides from Northampton (about 45m SE of Earthdance). Pickup will happen on Thursday the 23rd. Return ride will depart Earthdance on Sunday the 26th. Please RSVP by August 10th to contact@earthdance.net. The first 4 spots will be free! Other personal rides and special pick-up times can be arranged for a fee. Bring a friend who has never been to the Moving Arts Lab, and you'll both receive $10 off your registration. Write your friend's name in the "additional comments" section of registration, and receive your discount upon arrival. Work Study is often, but not always, available to offset the costs for Earthdance events. There are Scholarships available for this workshop. Please follow the link to apply. As Earthdance runs as a​ community, all participants contribute to 1-2 chore shifts (typically meal cleans) throughout the workshop and a Final House Clean on Sunday, August 26th. These are great ways to connect more with your fellow participants, Earthdance staff, and to feel more at home here. We will be welcoming you into this collective home and thus so appreciate your contributions to our space! An experiment in toppling hierarchies in embodied spaces using the Postmodern practice and theory of the Viewpoints as articulated by the choreographer and dancer, Mary Overlie. In our increasingly isolated existences, we will examine hyper-individualism in contrast to group-think to uncover assumptions and discover possible new approaches to working together. In an attempt to ease the mind and the body into a healing space, we will lean into radical care. We will use visualization, Reiki healing, authentic movement, and the postmodern collaboration found in the Dialogue Across Differences (preferable but not required that you participate in both workshops). We will be where we are and begin to dream individual and collective embodied futures. Temporarily we will leave our 3-D bodies and then step even more fully into them so that we can become agents for change. Looking back hundreds of generations, how would things sound as music? how would they move in space and time? Furthermore, how can the past anticipate the future and the future anticipate the past? In this compositional workshop, I invite you to investigate images, objects, movements and sounds that are stored in your DNA as your memories, impressions, forms, stories and intuitions. Let's cross the boundaries of time (past, present and future) and of space (migrations) in your artistic practice and creations. This workshop is a call for identity and memory. This workshop focuses on the musicality and kinetic form of our daily movements and their extension to a new form of dance that reflects how we see or think about dance. Proposing the idea that nothing remains stable, that it is transformed and reformed by its time, participants will see how a daily movement is constructed and shaped with an emphasis on rhythm, energy, and body movement coordination and expression. In my home culture, dance is about community. In my interpretation, dance is about relationship - within our own bodies, with the earth, with others, the world around us, both visible and invisible. That relationship is where rhythm takes place. Lacina Coulibaly was born in Burkina Faso. His professional dance career, deeply rooted in African traditional dances, later merged with European contemporary influences to create a uniquely African choreographic expression. In 1995, Lacina created the award-winning Cie Kongo Bâ Teria with Souleymane Badolo and Ousseni Sako, which toured extensively in Europe and the U.S. 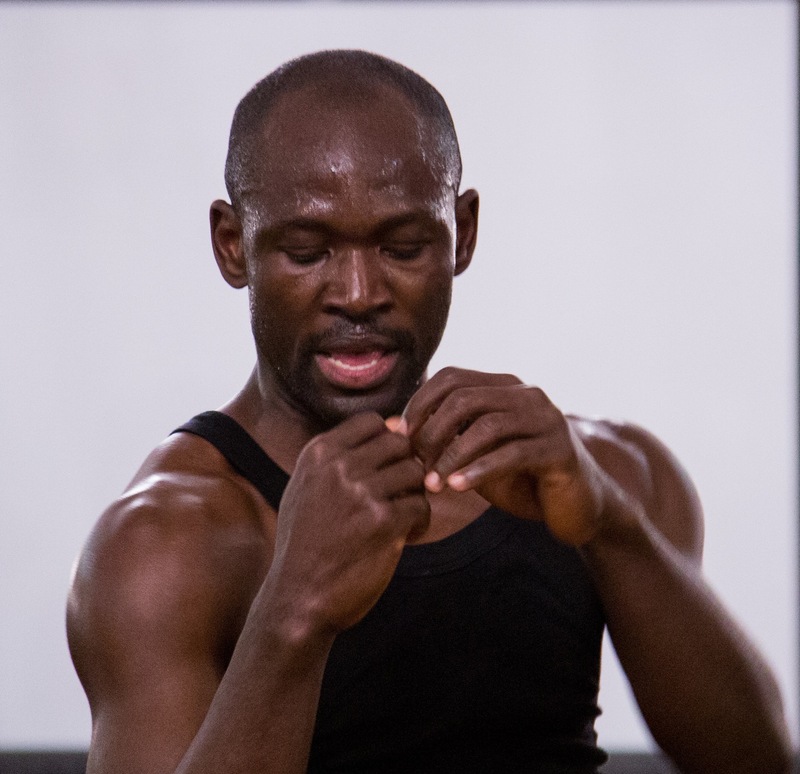 He has also danced and choreographed with several international dance companies (Salia ni Seydou, Faso Danse Theatre, TchéTché, Urban Bush Women), and collaborated artistically with such artists as Emily Coates, Amy Sullivan, Wendy Jehlen, Kota Yamakazi and Seydou Coulibaly. He also served as Associate Choreographer to the project Engagement Feminin, initiated by August Ouedroago and Bienvenue Bazié, and is currently Artistic Director of Compagnie Artistique Hakili Sigi. As an experienced educator, Lacina has taught at numerous universities and is currently guest lecturer at Yale University and Sarah Lawrence College. In this Composition Workshop we will weave between movement, visual image, and writing exercises to create textured and content-rich improvisational scores and structures for performance. Through collage with the body, image, time, and space, our source materials are endowed with meaning. Content is born from juxtaposition, similitude, context, spatial relationship, rhythm, quality, gesture, and other compositional elements. Join us in this interdisciplinary playground of discovery and creation. Bring a notebook and pen. 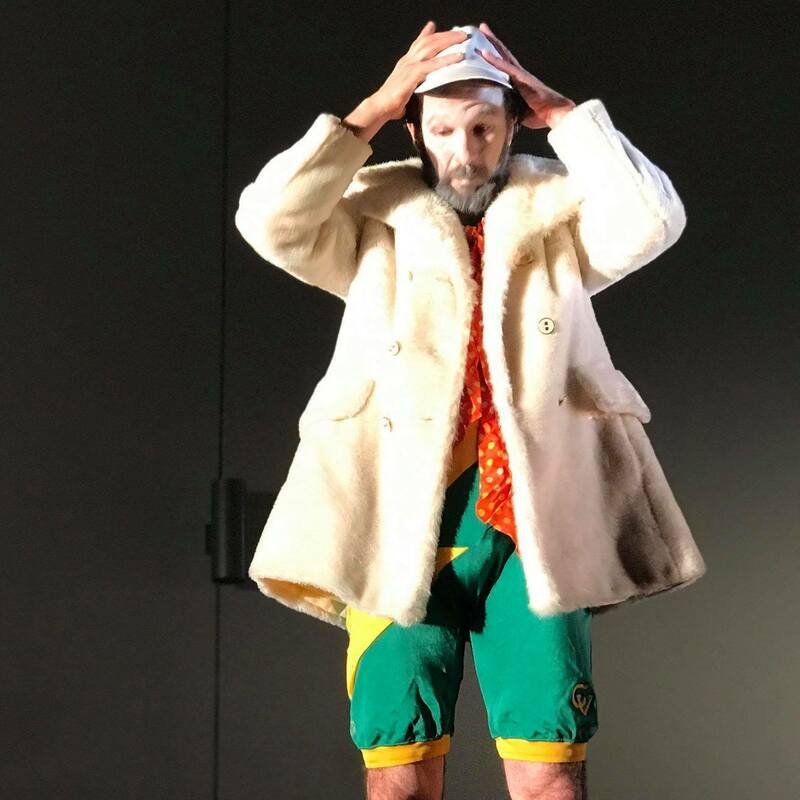 In this playful composition workshop we will explore how costume and fabric in their material and social aspects shape and re-shape our movement choices. Why do superheroes wear spandex? Why do hippies wear flowy clothing? And when do I get to break out the sequined tuxedo jacket?! We will create simple movement phrases and transform them into image, character, narrative and more - with the help of a few choice cuts of cloth. 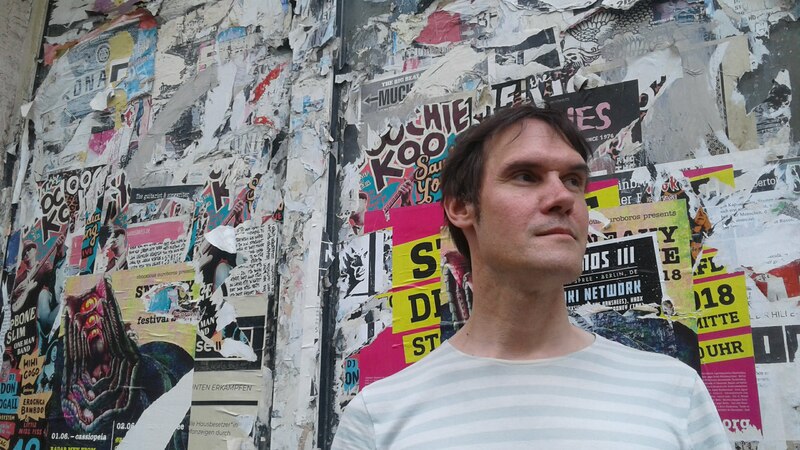 Daniel Bear Davis is an interdisciplinary performance maker and movement educator. He has taught Contact Improvisation and Axis Syllabus internationally in Europe, the Middle East, Asia, and throughout North America. Whether teaching physical skills or compositional practices, his intention is to foster tools for informed choice and increased possibility. He has been blessed with opportunities to perform with Guillermo Gomez Peña, Nita Little, Nancy Stark Smith, Pipaluk Supernova/Live Art Installations, Felix Ruckert, Kira Kirsch, Erika Tsimbrovsky, Scott Wells, Cid Pearlman, and many other inspiring body/minds. 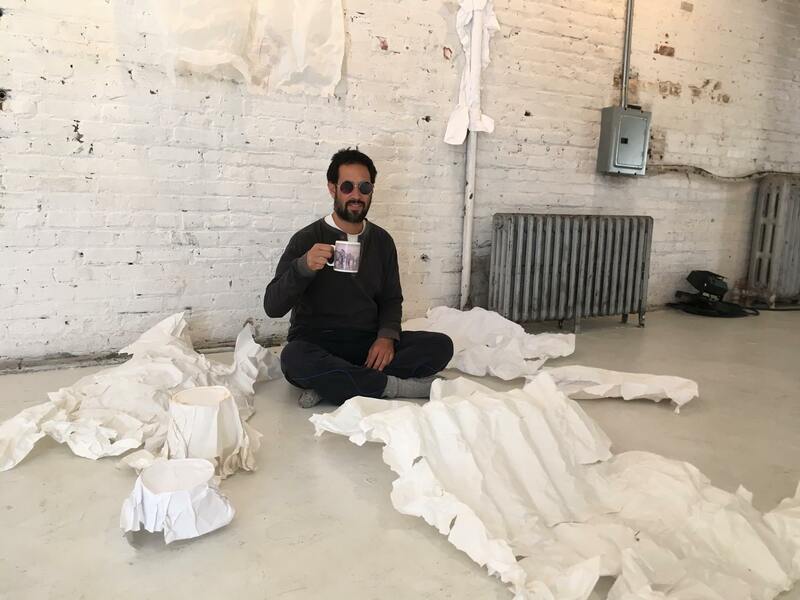 Daniel’s recent performance work focuses on creating new communities through collaboration with marginalized populations engaging with personal story. Working from the ground up, this class will emphasis moving from the inside out. We begin with a warm-up based in post-modern dance, developmental movement and with Body Mind Centering ethos. From here we enter sound and movement explorations, influenced by the Roy Hart Theatre and Ruth Zaporah's Action Theater. From here we move into the making with an alive body--vibrating and articulating from the inside out. We will devise choreography from storytelling by sharing stories about ourselves, where we come from, and noticing how our story intersects with another’s story. We will generate movement scores from our stories to co-create brief choreographic studies that culminate into a structured improvisation. We'll explore making connections, noticing images, unison, contrast, etc. to connect and build a brief performance piece we can run by the end of class. The class is focused on building connections and co-creating together. This workshop is based in Krista and Deirdre's current research exploring the similarities between our internal body-mind systems to the natural world around us. 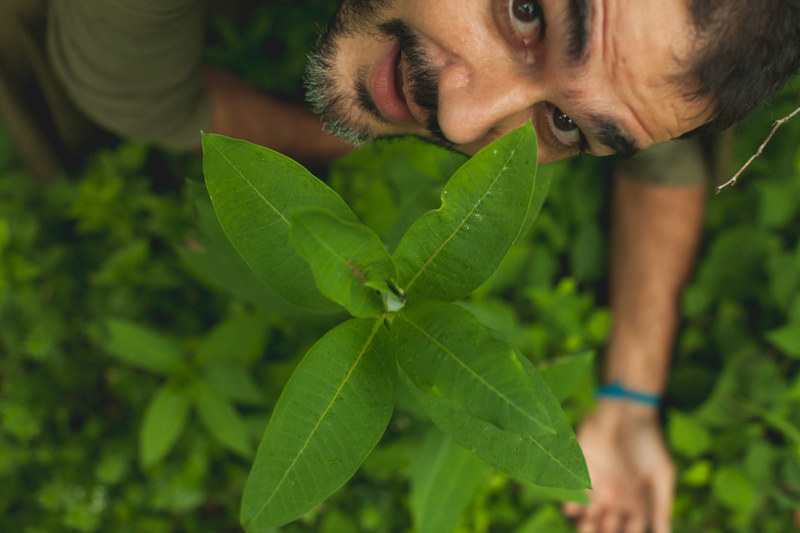 Specifically we will explore the impact of our listening to and being with trees. Through a series of physical, vocal, and writing exercises we will develop creative responses to the information we gather. Both contemplative and active, this workshop utilizes somatic, movement and theater practices. Using a combination of physical theater, comedy improv, movement, writing and text inspired by Grotowski, Keith Johnstone, Body Mind Centering and others, we will activate our image life and physical and emotional impulses through character, relationship, humor and play. Short theatrical performances will emerge with stories that want to be told. Our voices are strong gateways into our emotions, associations, memories, and fantasies. Inspired by self-scripting/collective writing techniques and Roy Hart extended voice, we will experiment with the untold stories within our voices. Experiments with melody and song will be encouraged through physical/singing/sound explorations. Debra Disbrow creates, performs, and directs ensemble and solo works that cross disciplines of music, dance, and theater. She also sings on various recordings, produces/directs voiceovers and is currently recording and performing with her band. She teaches physical theater/devised theater, the singing voice, movement improvisation and exploring the intersection between them. She facilitates workshops in arts integration for educators and mentors teaching artists working in public schools. Debra is a founding member of Workshop for Potential Movement (dance theater) and Convergences Theater Collective and holds an MFA in theater-contemporary performance from Naropa University. Years ago, I felt the urge of working on a meditation practice that could combine my love of drawing and the need of quieting the mind and just staying present with whatever was happening in the moment. This experience turned out to be revealing of many possibilities, metaphors, and movements contained in the simple act of drawing a line and following its way no matter where it may lead. This workshop comes from my desire to share and experiment with this basic idea. The proposed activities combine drawing and movement practices. Working from inspiration by One World in Dialogue in Frankfurt and his experience in peace work and entrepreneurship, Federico will talk about his journey from curating performances to curating supply chains - how artists can contribute, disrupt, or further business to reflect a better system of values as promised in the current social entrepreneurship movement. He will talk about his partnership with start-up Moral Florals as well as his upcoming book The Action of Flowers - flowers as symbols in revolution, creativity and social development. We will work with the principles of Beautiful Trouble - the 'elegant and incendiary' toolbox for Revolution. Based on the practice of walking and social cartography. A sensory drift of the elements that make up the experience of inhabited space. We will create ways of approaching space from our bodies.How do bodies create ambiance (its dynamics, fluctuations and an experience)? Where does the individual body end and the social body begin? An approach to body, objects and landscaping from the design, material and shapes of any given form or source. Collection, connecting and distribution, help us to compose and inhabit creative fields. We want to create places where body meets materiality, and mold to each other while carving the space. This is a follow up to “CoreoCartography Lab” and an introduction to “Creative Fields”. Our individual approaches to space and objects meet in this collaboration. We will collect images, landscapes, forms, sensations, memories and materials to compose spaces, supported by contemplation and walking as a creative practice. I’m interested in connecting gesture, vocal sound and meaning. Does an abstract “created” gesture invoke thoughts or feelings and vice versa, what kind of gestures flow naturally from body, mind and spirit when originating from thought and emotion or feeling? When adding a vocal sound, are gestures always in tandem with the sound or how can they be counterpoint or "different" from each other? Do these varying capsules of gesture and sound that we will make - these decisions and results - affect feeling in the body/spirit/brain or ignite different kinds of thoughts, reactions and intentions, etc.? This workshop invites participants to listen deeply while negotiating forces. Through the practice of Taijiquan Push Hands - a two-person meditative self-defense practice - we will explore embodied ways to navigate challenging situations. How can we cultivate strength and fluidity; alertness and relaxation; stability and adaptability? How can we experience these seeming dualities not as opposites, but as a dynamic whole? Participants will be offered meditative and practical tools for cultivating sensitivity and power within one’s own structure and through/with the structure of another. 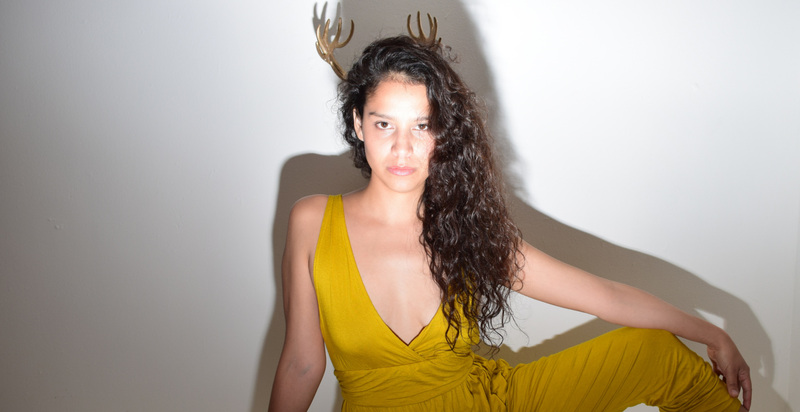 Claire Turner Reid is a movement artist with a dance, theatre, and internal martial arts background. With a B.F.A. in Acting from the University of Windsor, she also has extensive performance and research experience in dance, theatre, and movement arts. Her current focus is full-time study of Traditional Chinese Medicine at the Ontario College of Traditional Chinese Medicine (OCTCM) as well as a passion for human design and movement facilitated by her engagement with the Axis Syllabus International Research Community (ASIRC). 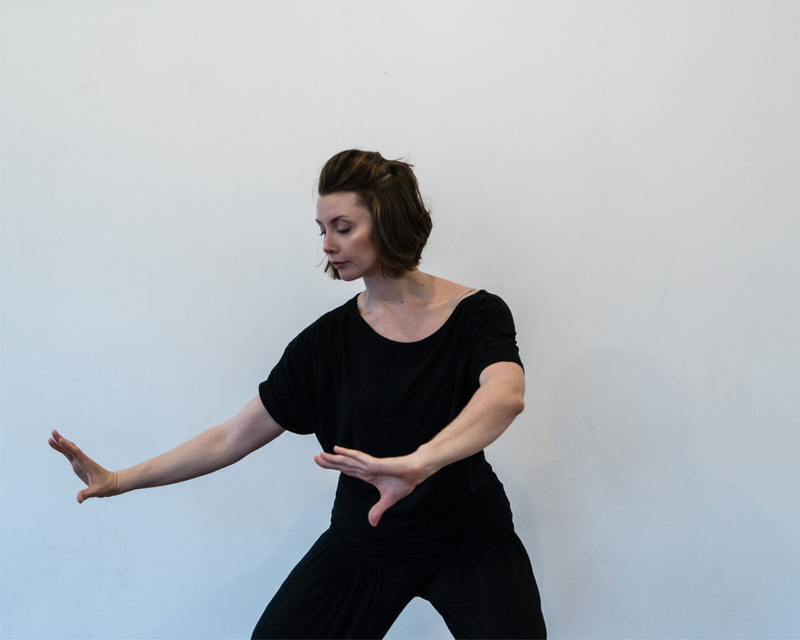 Claire is a certified Spiritwind Internal Arts Qigong and Taijiquan instructor, a certified Level II Radiant Lotus Women's Qigong instructor, a teacher candidate with the ASIRC, and an instructor at OCTCM where she teaches Qigong. She is grateful for the lineage shared by her two main Qigong teachers, Sifu Dylan Kirk and Daisy Lee. Drawing on her diverse experience in movement, performance, and healing arts, Claire continues to explore new ways of moving, being, and learning. 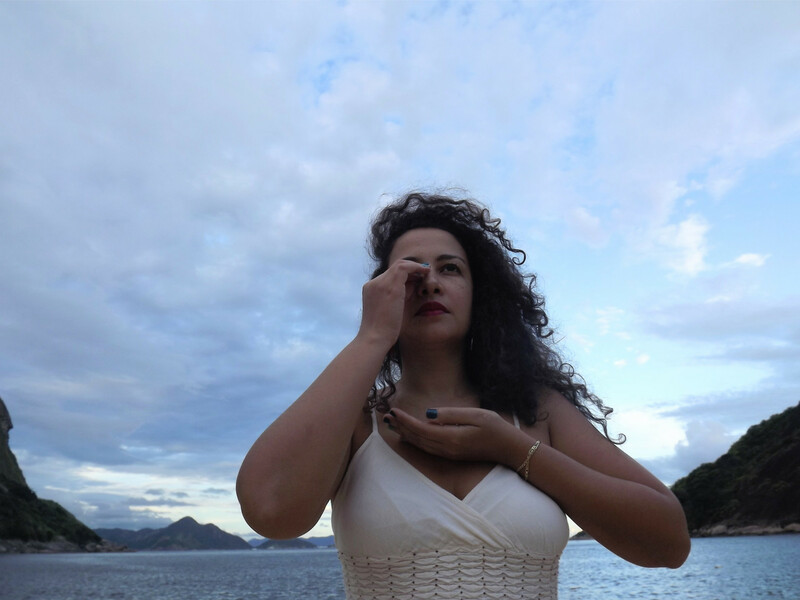 She uses movement and healing practices as a way to deepen awareness, honour the integrity of the body, and enrich inter-relational possibilities. This is a creation and composition lab that proposes interdisciplinary resources and expression to build on the political significance of the body as a territory of struggle. After a brief discussion about the body as a construction mediated by relations of power, we are going to create our own “Performed Manifestos” by approaching social struggles of the many identities today, but ultimately questioning and making visible the role of the artist in society as an emancipatory force. *This workshop will be offered in two parts during the Lab.